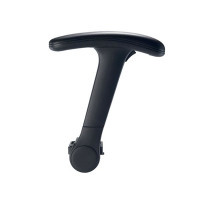 For use with Jemini High Back Operator Chairs, these arms are made from durable, tough plastic. The sleek design allows the arms to fold away for flexible use. This pack contains 2 black arms.